Remember when all the armchair critics were denouncing Apple and Google for removing the headphone jack? Yeah, that didn’t amount to much, with the wireless earbuds movement storming ahead at full force. In just the first quarter of 2019 alone, we’ve seen a couple of updates to some of our favourite wireless earbuds. 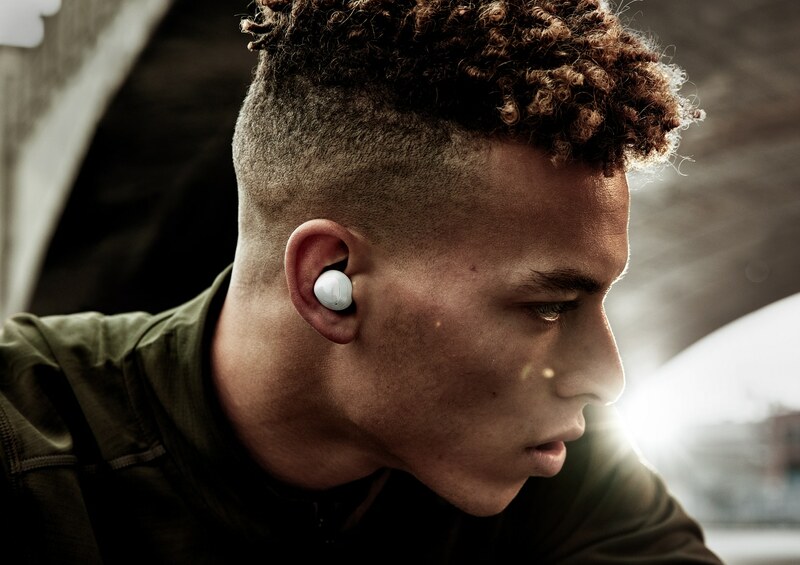 From Apple’s iconic AirPods to the Beoplay E8’s, here is your definitive guide to the wireless earbuds you need to be sporting this year. It’s about time Apple delivered a hardware update to their best-selling AirPods. The second generation AirPods are now equipped with the new H1 chip which lets you talk up to 50% more when compared to its predecessor. If you have multiple Apple devices, switching your audio input from your iPhone to your MacBook (or Apple Watch) is also quicker and more seamless. In a bid to convert more Siri users, Apple has also made it easier to activate the smart assistant with the AirPods. Just say “Hey Siri” and you’ll be able to call it up, no taps required. The cherry on top of this release might also be the new wireless charging case that is also compatible with the previous generation of AirPods. To mark your stamp of ownership, you can also engrave your case for free when you order your AirPods through the online Apple Store. It’s just a shame they didn’t release a black colourway this year. The Apple AirPods retail at S$239 with the standard charging case, and S$299 with the wireless charging case. The wireless charging case is available separately at S$119. 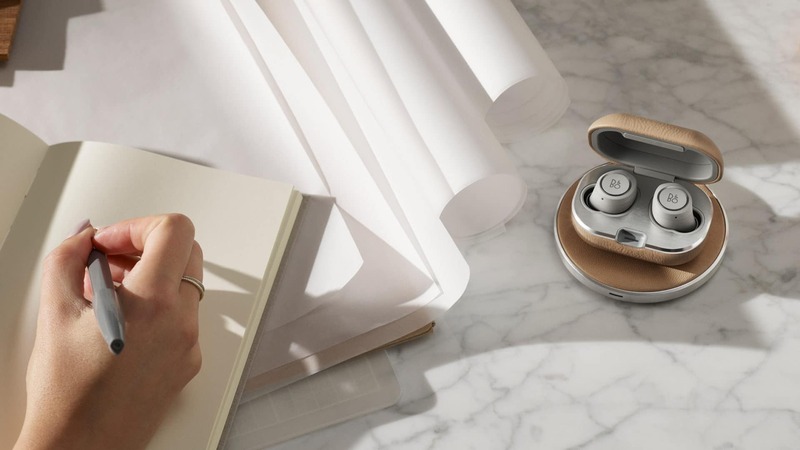 Purveyors of premium sound Bang & Olufsen are at it again with the Beoplay E8 2.0. This update to their first truly wireless earbuds focuses more on their external features, with a new case and more colours. The case for the Beoplay E8 is now slightly sleeker (although not as form-fitting), and can be wirelessly charged just like any modern device should. You could also charge the case with a USB-C cable if you’re more into wires. The case now also holds up to an additional 16 hours of battery life, four more than the first edition of the E8 earbuds. In addition to the wireless charging case, you can also purchase a wireless charging pad that’s crafted from brushed aluminium and cowhide leather. The pad supports both regular charging at 5W and fast charging at 10W. 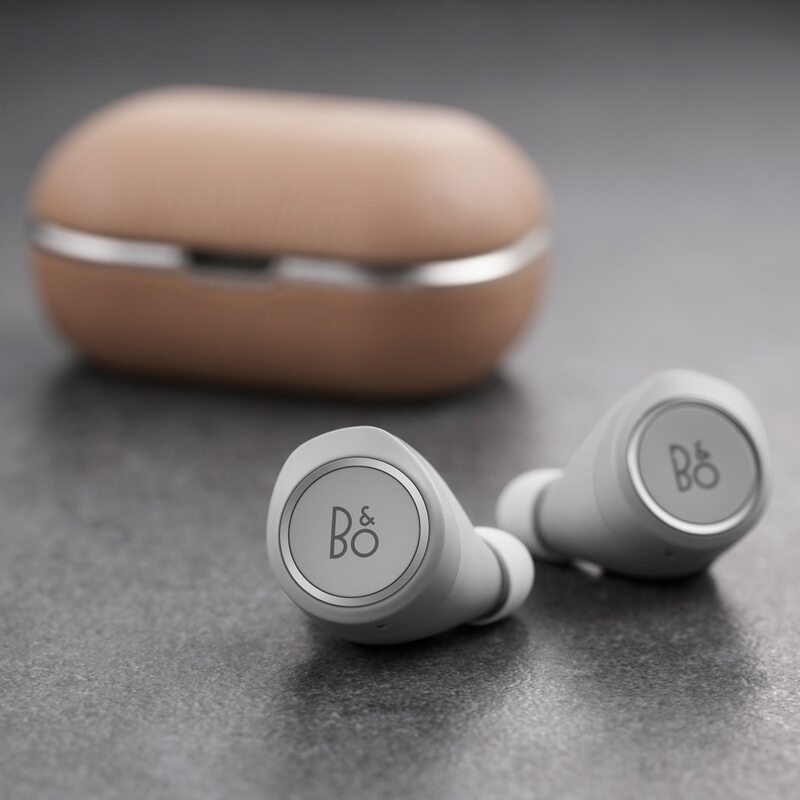 The Beoplay E8 2.0 earbuds will come in black, indigo blue, natural, and limestone, and will set you back S$550. The wireless charging pad will retail for S$200 and is available in the same colours. Leave it to Sennheiser to set the gold standard for wireless earbuds with their True Momentum Wireless earbuds. Making a standout premiere at IFA 2018 last year, they are one of the best-sounding pairs of wireless earbuds that you can get out there today. At a price tag of S$469, you can expect a premium build with the True Momentum Wireless earbuds. They are slightly bigger and longer than the other earbuds on this list, but that’s because of the features and technologies packed into it: noise cancelling and transparent hearing, Sennheiser’s proprietary 7mm dynamic drivers, and Bluetooth 5. 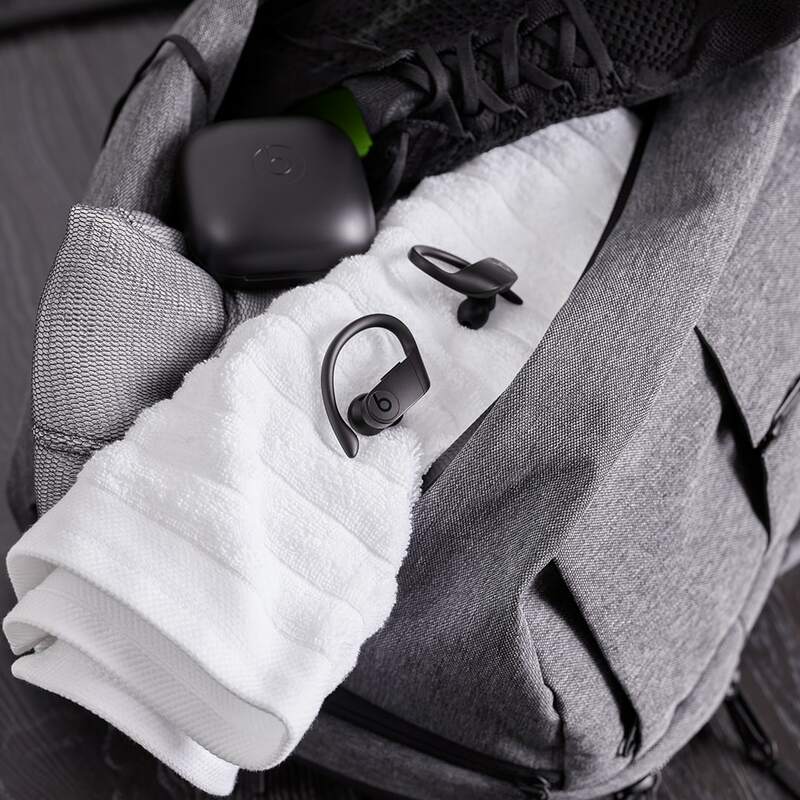 The True Momentum Wireless earbuds hold up to four hours on a single charge, with the charging case carrying an additional two more charges for up to 12 hours of playback. 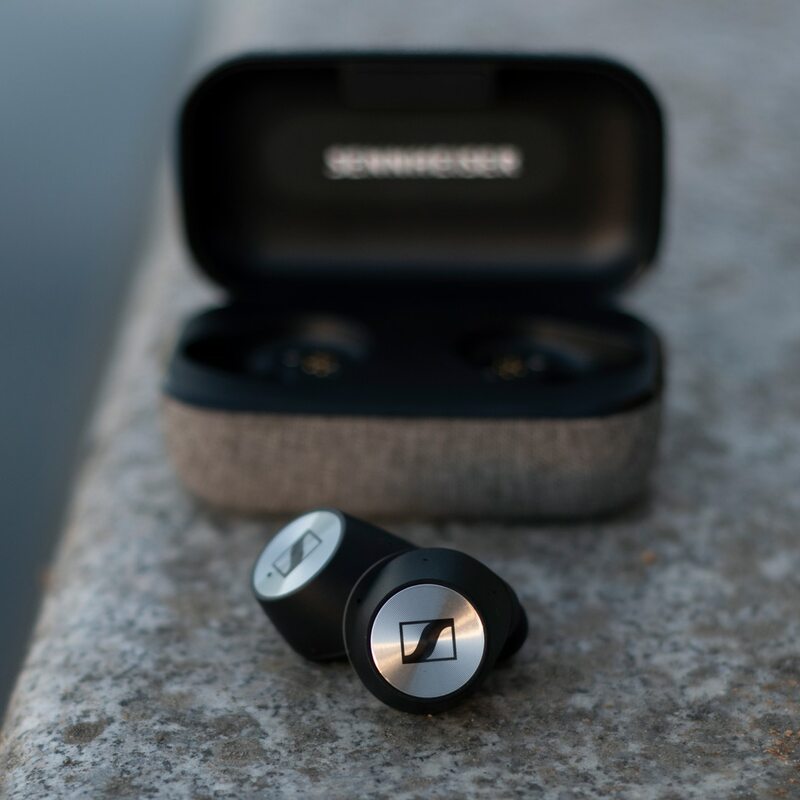 Sennheiser’s True Momentum Wireless earbuds retail at S$469. If you’re worried that your wireless earbuds are going to drop out of your ears midway through your HIIT workout, we’re here to tell you that you have nothing to fear with the Powerbeats Pro. While it is the latest addition to the Beats family, the Powerbeats still have the signature adjustable earhook of its predecessor, except now it’s sans wires. With an ample battery life of nine hours on a single charge that can be extended to 24 hours with the large charging case, you can run any marathon to your heart’s content. If you’re low on juice, there’s a 5-minute fast charging feature that gives it 1.5 hours of battery just like that. The Powerbeats Pro will come in four colours — black, ivory, moss, and navy — and will retail at S$328 from May 2019. While the latest Samsung Galaxy S10 lineup got all the press time, the Galaxy Buds weren’t shafted away as well. These are a clear upgrade to its predecessor, the Gear IconX earbuds. Created in collaboration with AKG Acoustics, the Galaxy Buds are no slouch when it comes to delivering quality sound to your ears. They also boast an impressive battery life at six hours of playback, although the charging case only holds an additional seven hours of battery charge, which isn’t too impressive when looking at all the other offerings. But the short battery life can be circumvented with the wireless charging case that can be charged via the Galaxy S10 devices. The Samsung Galaxy Buds will be available in Singapore from March 30, 2019, in white, black, and yellow. They will retail at S$238. In recent times, another brand has come onto our radars with their wireless earbuds. Enter Mavin, disruptor of sorts in the audio industry. Their latest product is the Air-X, and just looking at the spec sheet alone will have you impressed and sceptical at the same time. 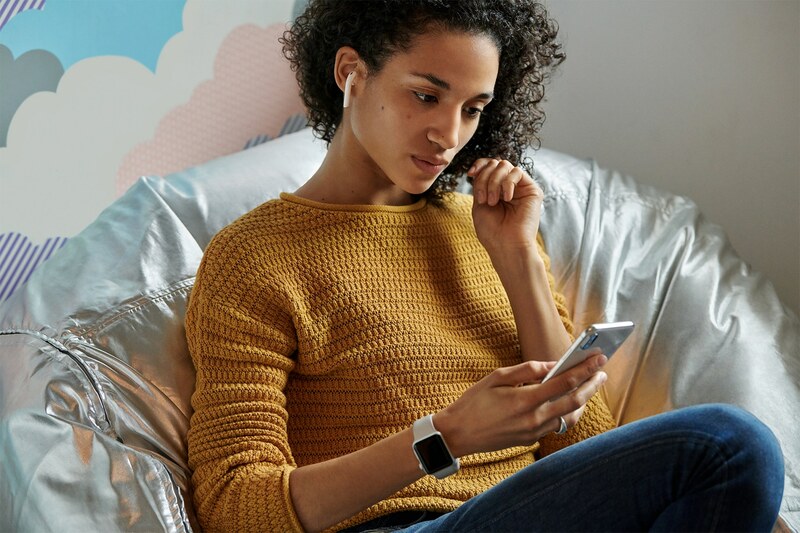 Mavin boasts a 30-metre long connection for the Air-X earbuds (normal Bluetooth devices top out at 10 metres), letting you roam around the house or office without having to pause your tunes or bring your phone along. They also have one of the best battery lives of any wireless earbuds on the market currently: 10 hours of playback. This isn’t including the 40 standby hours that are held in the pocket-sized charging case. The Air-X earbuds also make the most out of Qualcomm’s TrueWireless Stereo Plus that works best when paired with any flagship Android phone like the Samsung Galaxy S10 or Google’s Pixel 3. 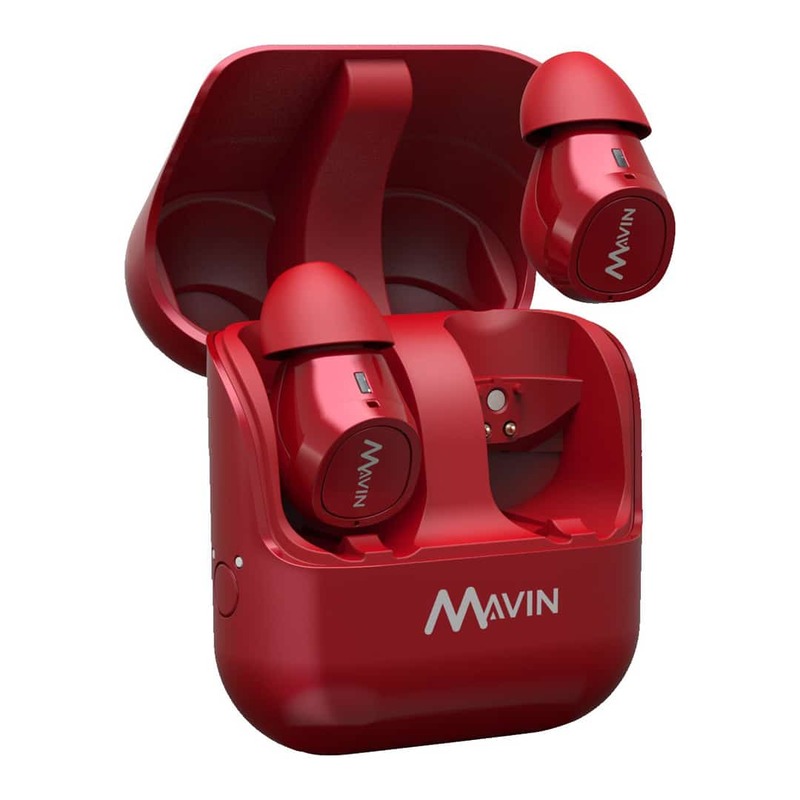 Mavin’s Air-X earbuds come in red, black, blue, white, and pink, and retail at S$249.